The new Royal Enfield Thunderbird 350X ABS Launched In India, Priced At ₹ 1.63 Lakh (ex-showroom, Delhi) and is about ₹ 7000 more expensive than the previous model. The Thunderbird X series was launched earlier this year as a modern take on the cruiser with more commute friendly riding position that made it a fun choice for the younger set of customers. Royal Enfield dealers have confirmed to car and bike that the Thunderbird 350X is already available and bookings are open for the ABS version. The introduction of ABS across the Royal Enfield range is part of the bike maker’s exercise to make its motorcycles compliant with the upcoming government regulations that mandate ABS on all two-wheelers above 125 cc from April 2019. While the 350 cc Classic Signals Edition was the first RE product to get ABS in India, the safety feature has since been introduced on the Classic 500, Himalayan and the Classic 350 in Gunmetal grey. 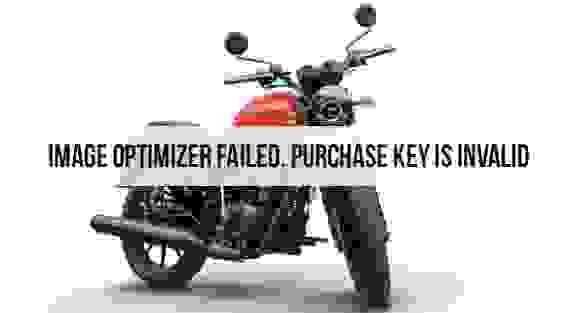 The standard Royal Enfield Thunderbird 350 and 500 are yet to receive ABS and we do expect the same of be made available in a phased manner. While the Thunderbird brand gets its timely update, this week holds special importance for Royal Enfield as the countdown begins for the India launch of the Interceptor 650 and Continental GT 650 motorcycles. Prices for both bikes will be announced on November 15, 2018, a day that will also see the company’s yesteryear rival Jawa Motorcycles make a comeback to the Indian market. We will be bringing all the details from both these launches, so make sure to stay tuned.